Paul Simon is set to release his first record in five years titled So Beautiful or So What via Hear Music/Concord Music Group on April 12th. 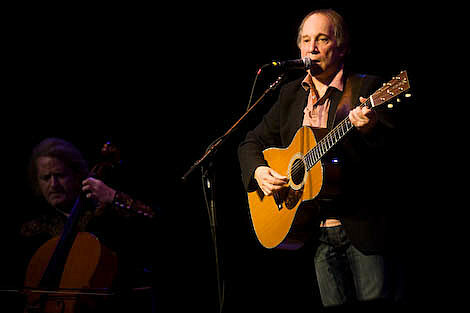 To celebrate, he’s embarking on a North American tour that will make a stop at the Chicago Theatre on May 17th. Tickets have not been posted yet, but will go on sale Saturday, the 12th at 11AM via Ticketmaster. Below, is a widget that will allow you to listen to his new singles “The Afterlife”, and “Getting Ready For Christmas”. …The set list will draw from his iconic career, including several songs that haven’t been performed live in many years. Also included will be songs from So Beautiful or So What, his brand new album set for release by Hear Music/Concord Music Group on Tuesday, April 12, 2011. Before hitting the road, Simon will appear two consecutive nights, April 6th and 7th on NBC’s Late Night with Jimmy Fallon.